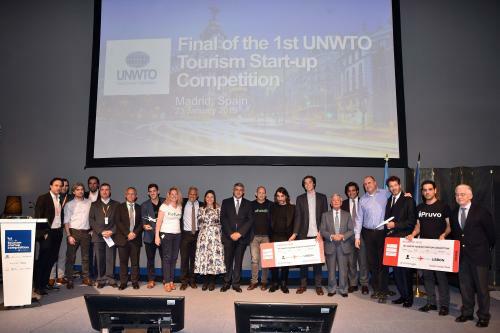 Madrid, Spain, 2019-Jan-28 — /Travel PR News/ — Refundit, an Israeli startup, was declared the winner in the final phase of the 1st Global Tourism Startup Competition, organized by the World Tourism Organization (UNWTO) and Globalia, and held within the framework of the FITUR International Tourism Fair, topping 3,000 entries from around the world. This entry was posted in Business, Festivals and Events, Tourism, Travel, Travel Awards, Travel Marketing, Travelers and tagged award, competition, Globalia, Israeli, Javier Hidalgo, Refundit, Tourism Startup, UNWTO, winner, Zurab Pololikashvili. Bookmark the permalink.